2018 Valencia GP marked the last race of the intermediate class of MotoGP where engines from Honda’s CBR600RR would be used. The 600cc inline-four motor has been in use since the inception of the class in 2010. It was announced last year that Triumph would be returning to MotoGP as they were signed up to be the engine suppliers for Moto2 machines from 2019 onwards. The engine in question is the new 765cc triple that is used in the new Street Triple range of nakeds from Triumph. Triumph used the Daytona 675’s motor as a base for the new 765cc engine, which was further optimised to be as powerful as it could be for road-use on the Triple RS. It makes 121PS thanks to several performance parts kitted out in the engine. However, for Moto2, Triumph has added more oomph to pump out 138 horses from the same motor. That is 17 more than the RS and 8 more than the Moto2-spec Honda engine. The company has has commenced testing the bikes, with riders finding the compact dimensions as well as the torquey nature of the triple quite friendly. The first race of the Triumph triples will take place in Qatar as the 2019 season commences on 8-10 March. 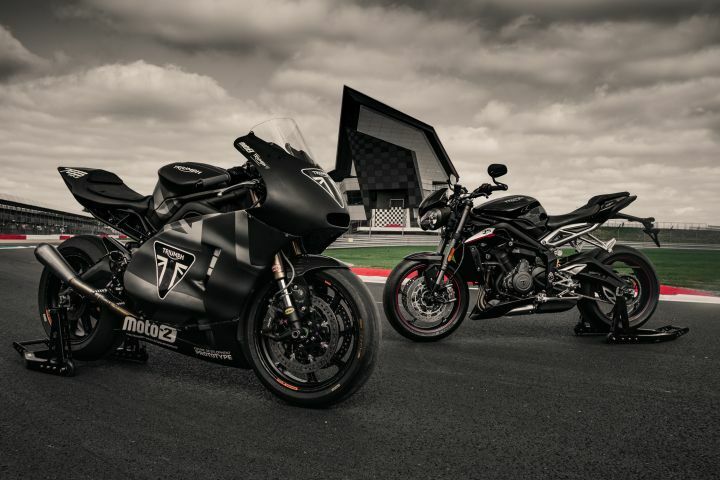 Triumph has been working closely to develop the bikes with various race chassis manufacturers and this is perhaps an indication that we may be getting the updated Daytona 765 sometime around the end of 2019 or even early 2020. Whenever it may be, we could not be more excited!